SPT’s operators have been an integral part of the design and manufacturing of SPT’s NoisePrint Mills. Their knowledge of the mechanical, electrical, computer, and hydraulic systems of these machines enable them to maintain the performance of the equipment where ever they may be working. No one understands NoisePrint Mills better than our operators who have built them. 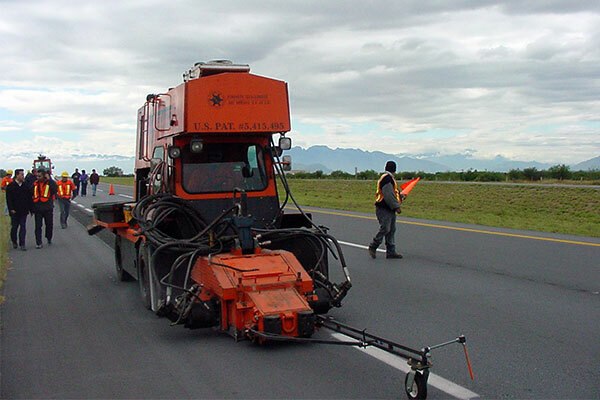 Our rumble strip road crews have more experience cutting rumble strips than any other contractor. Each of our operators has supervised general contract projects where they directed every part of rumble strip construction from meetings with the resident engineer, to the milling, to clean up services, to maintenance and protection of traffic. Our field crews have the experience of cutting more than 150,000 miles of rumble strips on concrete and asphalt on both centerline and shoulder rumble strip projects. Many of our operator/technicians cut the very first milled rumble strip projects on the Pennsylvania Turnpike, which was the first highway in the world to use the 7-inch milled rumble strip.